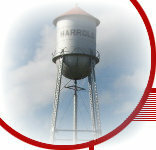 Harrold is located in central South Dakota, 32 miles east of Pierre, our State Capitol. Our population of 124 is led by a 3-member Board of Trustees. We are located in prime hunting country with several hunting lodges located within just a few miles. Agriculture, hunting on the prairie and fishing on the nearby Missouri River are the main attractions to our area.